Well, ALMOST! HAHA My favourite UPS guy should be here today and/or tomorrow with my numerous boxes of catalogues as well as my preorder of lots of new stamps and products!! If you are a current or past customer, you will be on my list for a new catalogue. I have my bin refilled by tomorrow (hopefully) so if you stop by my house on the weekend, you should be able to grab one. Watch for a post on my Facebook group to confirm. I’m going away to Canmore for a scrapbooking retreat weekend, so if they don’t come today, I won’t have any out until Monday. Again, just watch for a Facebook update. I will start delivering and mailing out next week!! I am also including a color revamp cheat sheet for you in side the catty so you can look at it and see which are the new colors in the collections and where some of our colors have moved collections. We also created the “basics” as a new collection. Remember to check the clearance and watch for any discounts on retiring products before May 31st which is the last day for the current catalogue. If you need me to order, let me know, or, of course, you can always order online 24/7 from the comfort of your pjs! REGISTRATION OFFICIALLY OPENS TOMORROW AT 9AM!! On March 17, 2018, in Turner Valley, Alberta, a fundraiser crop will be held for a cause that is very important to the Foothills of Alberta. Years ago there was a larger scale crop held in Okotoks in support of this cause, this current crop is not connected with that group, it was started completely separate and by some great ladies in the Turner Valley area. It was brought to my attention a few years ago, and I was all over supporting this great cause! I have helped a team of volunteers in the area of registrations and donations for the big day, and continue to do so, year after year, and am happy to do so! Our Mission at the Rowan House Emergency Shelter is to provide crisis intervention, long-term support and education for those affected by family violence in rural communities. Rowan House is an emergency shelter for women and children serving the Foothills and area. It is an important resource to the community, not only as a shelter, but also for their prevention education programs. As a past teacher in High River, the ladies from Rowan House had come to my high school classes to educate our students on the different types of abuse and what a healthy relationship should entail. They have education programs for all ages and are a valued part of our community. As a woman, a mom, an educator, I, like many others in our communities, whole-heartedly support this organization and the amazing work they do. Attend the crop! Contact me to register, click here for the Facebook event with all the details of the day! Fee $65 for a full day crop, including two meals, make n’takes and prizes. Registration closes on February 5th, or when you max to capacity, whichever comes first. REGISTRATION OPENS TOMORROW (Monday, January 8th, 2018) AT 9AM!!! Make a donation! We would greatly appreciate donations for the draws and/or door prizes to be awarded throughout the day. If you or your business would like to make a donation, please contact me at 403-618-9949/janleygrant@hotmail.com. Every little bit helps, thank you so much for helping make this event a success! Spread the word! Please share this post, share the Facebook event, and promote the event to your family and friends! There may be a scrapbooker or crafter you know that would enjoy the day and supporting the cause or a business you know that would like to give back to the community through donation to the event. Thanks so much! Registration opens tomorrow at 9am!! Don’t delay, contact me! 🙂 thanks! Would you like to make time to create each month? Would you like to have a monthly girls night out that you can rely on as a get-away from the day-to-day? Would you like to work on your projects or scrapbooking? 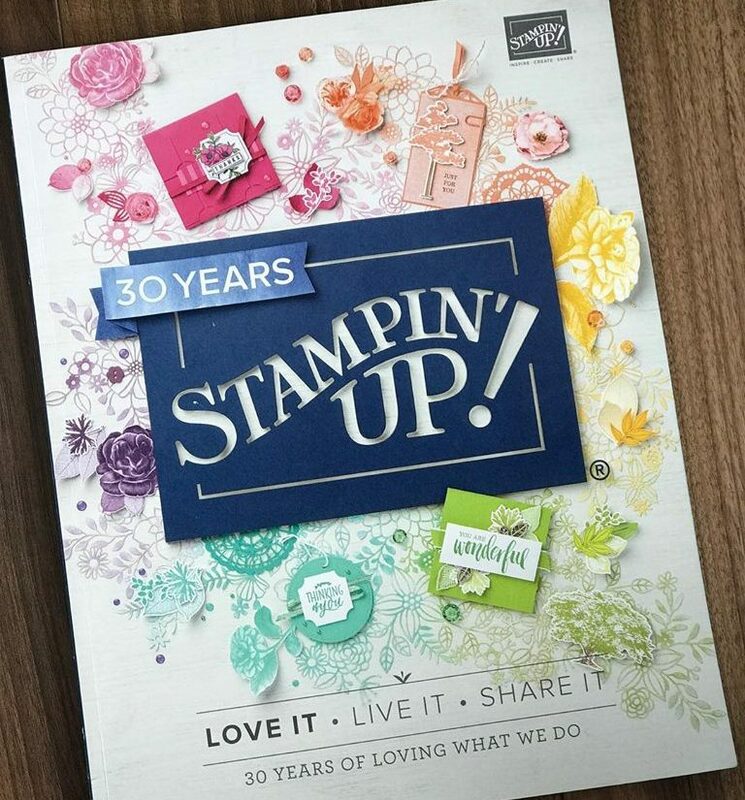 Can you commit to spending $25 a month on Stampin Up supplies for 8 months (excluding summer)? Would you like to have the hostess rewards for the month at some point, because everyone wins? If you answered yes to these questions, you should join my 2018 Your Stampin Scrapbooker scrapbooking/card club! MINIMUM OF 8 PARTICIPANTS FOR CLUB TO GO FORWARD! Club will be a gathering place for club members to create (both lead by me and working on your own projects), to scrapbook, work on Paper Pumpkins, 3D projects, learn techniques and from each other, visit and relax! Commitment to all 8 months, if you cannot attend, you are expected to still submit your $25 order. At class, draw for hostess rewards – once you have won, you will not be reentered. Deadline to sign up – December 31st, 2017. Other questions? Please don’t hesitate to ask!! Come join the fun, make great creations, get awesome product for free, see old faces, meet new friends, bring along a friend you’d like to spend more time with!! The reasons are endless to join the club! First of all, we get a goodie bag of surprises! There is a minimal registration bag and then a larger “embellished” bag, if you so desire the element of surprise!! I went for the cheaper bag and here is a pic of some of the fun goodies I came home with!! Disclaimer: There are a few extra items I got that were given to me by other croppers that were not in the cheaper bag. Here is some of the new goodies I bought: (I posted a Facebook Live this morning where I walked through it all briefly, check out the video here). Being as I went to scrapbook our Canada 150 celebrations (which I never did get done) I was falling in love with more and more of the Canadian themed papers and stamps. Earlier this year I bought the Canada 150 stamp from Close to My Heart, so I was prepared for my layout, and had gathered some gorgeous papers along the way, but of course, when you come across the newest suppliers in town called Wild Whisper Designs, who can resist these? In the above photo, the bottom right is all the Illustrated Faith and Vicki Boutin products I bought to put in my Bible art journalling bag. I played with Ranger Distress Oxide inks for the first time so just HAD to have some, right? I’m excited to dig into my Bible art again, even ran to Michaels today with the 55% off coupon to get some clear gesso, as I only had the white (rookie mistake on that purchase), as I want to be able to see through it to be able to still see the scripture. I fell for some other beautiful Canada-themed papers from Treasured Memories, found in the upper left with the Canada tag. Some Thickers, can never have too many of those with a silver shine! I also got the dance paper pack at the top right to put away for future dance layouts of the twins. On the middle left I got a steal of a deal in the pack with the watercolour pencils at 40% off, since it’s from 2015, but who cares? It’s going to be put away for my favourite craft room friend for Christmas. I’m going to steal out the mini spray for myself as that will go into my Bible art bag too. Lastly, the chipboard pile in the centre bottom. From Scrap & Bean, I think since that was the card in the bag, so hopefully I didn’t mix things up, the brand is Southern Ridge Trading Co. I have bought stuff from them in the past and here I am again, stocking up. I got rodeo/cowgirl/cowboys/cows, as well as the create one, first day of school and a dragonfly (for an upcoming Outlander layout, I had to find Outlander there somewhere, right? Overall, was a super fun scrapbook carnival! I take issue with the Friday/Saturday, but I get that it runs alongside the quilting expo, and most attendees of that do not work on Fridays. Each year but husband says, do these people not work on Friday? I love the shopping, the atmosphere, the friends and the Creative Scrapbooker team, however, having to pay for childcare in order go, makes it an expensive two days for me. That’s my issue to deal with and next year I will reevaluate it yet again. I will still go in some form, even if it’s just for the shopping on the Saturday. If it was just longer days, I’d feel like I get more for my money. That being said, I’m back to the fact that it is an amazing two days of fun and smiles!! Love you Guys, @CSMscrapbooker!! The day I took this photo, I knew it was every scrapbooker’s dream to get to create a layout of that very moment. That moment when the wee ones flip through the layouts you have created of them growing up over the years, is one to remember. As I watched them pointing and discussing and admiring the layouts, I was thrilled to experience seeing them appreciate the scrapbooks, even if they don’t know what appreciation is yet. Paige was asking Olivia questions about what was happening in the photos and layouts, and Olivia was reflecting on the events and what she remembered. She would even read the journalling to the twins. I didn’t get a whole lot actually scrapbooked this past weekend at the Great Canadian Scrapbook Carnival hosted by Creative Scrapbooker Magazine (@CSMscrapbooker), but I did get this one done and am so proud of it! It is already on the wall in our craft room to cherish for years to come! As I’ve mentioned before, in recent years I have become so busy with my Stampin Up classes out of my home, and the million other things that I want to create, I have not been actually scrapbooking at home, I’ve been doing it all at crops. Be that at a one full day crop (like the Rowan House fundraiser in March) or a 2 and 1/2 days of cropping (Crop & Create in March/April by Scrapbook & Cards Magazine), I have been able to keep up with my memory keeping hobby. I make sure I’m well-planned with pictures printed and ready to go. As I went to his crop, I had photos ready for a list of events from all of 2017, a new Canada 150 album by Creative Memories, as well as Canada 150 stamp by Close to My Heart, and many more goodies planned for layouts. As I quickly realized that between shopping, make n takes that caught my eye (see previous post about Bible Art Journalling), and having to leave to go take my daughter to swimming and losing 2.5 hours, I was going to have to be selective about what I was going to get done. I opted for what I was most inspired to do, the layouts that often get put to the side because there are so many other “things that need to get done”, like the birthdays, Christmas, etc. I started off with a double layout of the bachelorette for my sister in law back in May to Scottsdale, followed by a very simple double of our trip to Drumheller to the dinosaur museum and finished with this beauty!! #scrapbook says it all and I added #lovemom to it symbolize my love of them and this craft and I can only hope they will enjoy all my creations for years to come. As I write this, the three are behind me at our craft room table drawing and colouring. I will be forever grateful to God for the many blessings in my life and moments like these that I will cherish forever. This past weekend I attended an annual crop at Spruce Meadows in Calgary hosted by Creative Scrapbooker Magazine called the Great Canadian Scrapbook Carnival, and a carnival of fun it is! Between the usual scrapbooking, socializing, eating, shopping, and prizes, I had time to think. I’ve been meaning to do more scrapbooking at home, create more things just for me, and have really wanted to dig out the Bible Art journalling supplies I have acquired over the past year, all still in the packaging. After my recent craft room make over resulted in the Bible art journalling getting its very own drawer, I it was been starring at me for weeks. I knew the day would come very soon when I will sit down with it all and dig in. That day was this weekend. If you’d like to read my previous post of my Bible art journaling journey, please click here so you can read the background story to this post. As the days drew closer to the crop, and I watched Allison Orthner’s (that’s Allison in the photo above) posts regarding her excitement about having a Bible art make n take table, I knew the Holy Spirit was really trying to work his wonders through both Alison as well as my love of all things crafty. I went through the first day of the crop doing some scrapbooking, and shopping up a storm (watch for an upcoming post of all the goodies I bought!) but as I left at the end of that first day, and walked past Allison’s table, I knew that I had to rethink my plan for the next day. I went home and dug out a bag and packed up all my Bible art journalling goodies and off I went for day two of the crop. I started the day off with Allison and playing with gesso, Ranger oxide inks and water, as well as stamps, washi, and stickers by Illustrated Faith. Alison had brought some old hymn books from her church for us to be inspired by as well as to play with the products. Stamping or doing any form of art in the Bible can be scary. No one wants to do something to a book so special that they are not sure will turn out as they hope. That being said, any time you get out the gesso to do mixed media, it will be an adventure and you will never be able to do the same thing twice, accept that now! We played on the hymn book sheets and I also created a beautiful bookmark too. What are Distress Oxide inks? Check out this video from Creative Scrapbooker with a quick overview of what they can do! Today I reflect on what I have begun and am revived and inspired to continue this Bible art journey! Today I even discovered (via the Canadian Bible Art Journalling Facebook group) there is a Facebook group for Catholic women that do Bible art! So, after saying it hasn’t really been something the Catholic world has embraced, I am proven wrong but this social media discovery. As I write this, I’m awaiting approval to join the group, so I will follow up with my thoughts and feelings on the group. #dowhatmakesyouhappy is something I’ve tried to keep in mind as it is easy to become bogged down with all the “have-tos” of teaching classes. There is always another class to prepare and supplies to organize. It can easily become a “chore”. Years ago (in my younger fitter days), I feel in love with aerobics and even went on to teach for several years. However, by the end of it, I was tired of having to be accountable to my classes. I wanted out. I really don’t want that become the case with my Stampin Up classes and crafting. So last night I told myself I to need to make myself accountable to me! I know myself well enough to know that that will be good for me on many levels. My crafting skills will grow, and my relationship with Christ will grow. Not teaching and being in the Catholic schools on a daily basis, does lead me away from the church since I’m not involve in it on a daily basis. I know I have to more actively take ownership of that part of my faith journey. I would love to hear about your faith journey surrounding the Bible art journalling experience. I would especially like to hear from other Catholics that are Bible art journalling, so I don’t feel so alone in this journey. Want to learn more about Bible art journalling? Click here for Allison’s blog post on how to get started!! Need some Stampin Up supplies? water color paper? journalling pens? stamps? Stazon On ink? All of these supplies can be purchased online in my store! SHOP here! “All I want for Christmas is you!”, yes, Mariah will be belting out her tunes in my house soon enough, especially with snow headed our way tonight…. Okay, let’s not get ahead of ourselves, no, I do not put up my tree until after Remembrance Day and usually my birthday on the 15th, then it’s free game!!! But in the mean time, my Christmas card club starts next week!! For several years I have run a club consisting of 3 classes of 12 cards each for a total of 36 cards completed over 3 nights. A class at the end of the months of September, October and November so they are done early enough for that that want to send in the mail. I always plan my classes based around a combination of what inspires me (if it doesn’t, who is coming up with the ideas for the class?) and what I think the ladies that have been coming to my club for years will enjoy. This year I chose the Label punch with the Labels of Love stamp set to match the punch, the Carols of Christmas bundle, the Christmas sweaters and the Christmas in the Making (I love to color and so do many of my ladies) so there had to be a set where we get to color. I am loving the new embossing paste so that will get in the mix and I always do some heat embossing in my classes too; there is so much wow factor to heat embossing, it makes anything pop! For all my event information and to RSVP, please like my Facebook Page! So where are my three samples for my upcoming class that is this Tuesday. I have decided that I don’t really like this on the soft suede card stock so I’ve decided to stick with whisper white. Posts to follow with detail each card with the supplies required for the card. I’m working on becoming a YouTube sensation (yeah, right!) so once I have that under control I will regularly film as well. Here is my YouTube channel, click here!! So as a reward to myself for getting my samples done and all my cutting/prep work, tomorrow I get to pack to head of to a 2 day crop! On Friday and Saturday you will find me at Spruce Meadows in Calgary at the Scrapbook Carnival hosted by Creative Scrapbooker Magazine. Watch for a post of all the fun! !